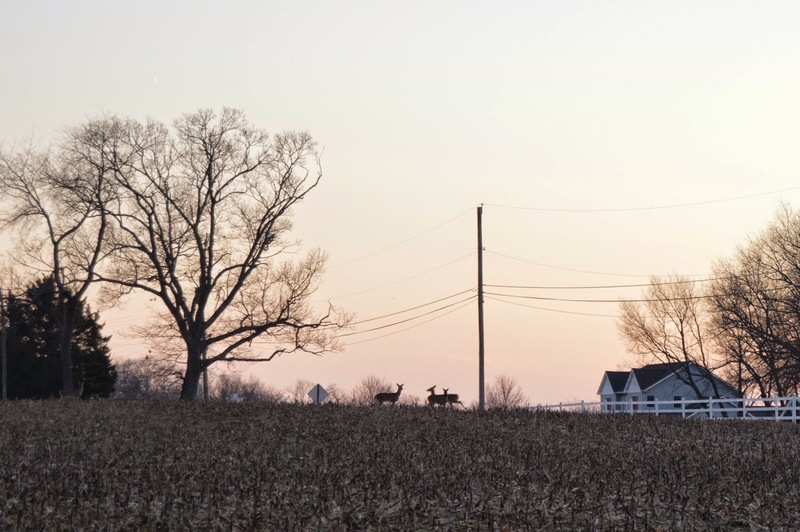 For the past couple years, I had been trying to take a photo of the deer crossing the road in front of our house at sunset. It was especially tricky as they time it perfectly to the sunset and not the clock, and the whole dance lasts less than a minute. Finally, one evening, I readied my camera and stood on the edge of our property. I waited for the deer to gather in the field and then make their crossing against the scenic backdrop. Well, the best laid plans. The first deer spotted me and seemed reticent to do anything. That deer promptly told the others. Just as I moved in for the shot, they threw it in reverse and bolted into the woods wagging their white tails behind them. My fault for not attaching my best zoom lens. Now, let me tell you the story of the picture I did get which was tainted with laughter, confusion, and a surprise ending. It was originally The Mister's, of course. It is only three letters long. It is impossible to mispronounce and is not uncommon. Well, they could misspell it as I-S-L-A-M. Yes, my photo was credited as "Monica Islam". I laughed about it for three days before sending a polite and well humored e-mail to the editor, who was extremely apologetic and very embarrassed. He assured me he had no idea how this happened, admitted it was a terrible mistake, and thanked me for my gracious e-mail. He also assured me there would be an attempt at a correction in the next issue. Only there wasn't, and none was ever printed. Ah, well. I forgot about the contest for a while, and enjoyed the other entries as they were printed. Charming little girls in milking parlors and brothers posed in wooden wagons. Then, the new year rekindled my memory. "You know," I said to the Mister just last week, "The least they can do since they didn't print the name correction is select me as winner and award my son a cash prize." I was joking, of course. Except that it did win. Within a week I was notified that my picture won the 2014 photo contest and a nominal monetary award for Little Mister's farm fund. "On its own merit...so sorry again about the name..."
It was announced as winner in the paper and reprinted along with my correct three-letter last name. Never could I imagine a story of delayed gratification quite like this, one that writes its own ending. Never in a million years would I have guessed they'd spell it THAT way!! :oD Too funny! I know, it was a one in a million gaff! As I like to say, "All of my problems are weird." Thank you Shelley, and I'm glad to hear that you are recovering. Yes, God is good even at our worst. That is an absolutely ADORABLE picture of Little Mister........it belongs on a Hallmark card!! :) So happy they finally corrected your name........AND so happy you and Little Mister won!! You deserve it, my friend!! Thanks Randi, it was a nice way to start out the year! It's fun to share it with my reader friends. Monica, this is a great story! And you write it with such grace. If I were in your shoes, readers would be able to see my puffed-up chest through the words. But you pull it off staying your unassuming self. Well done! I love both the photos. 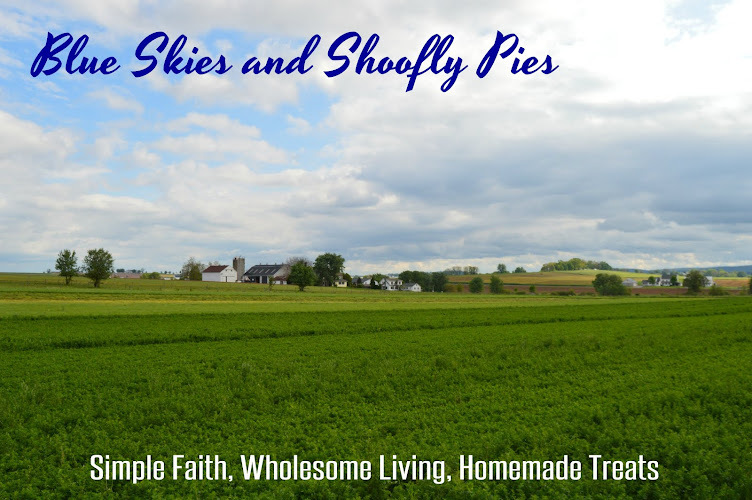 The Little Mister in the cornfield is absolutely fabulous! Thank you for sharing your triumph with us. We need more stories like this in the world. Thanks Saloma, that makes me smile. It was such an odd and incredulous error that all I could do was laugh and joke about it! My goal this year is to find time to take some more high quality pictures of the beauty in the world, and then share it with others. I loved that picture when you posted it the last time on here. 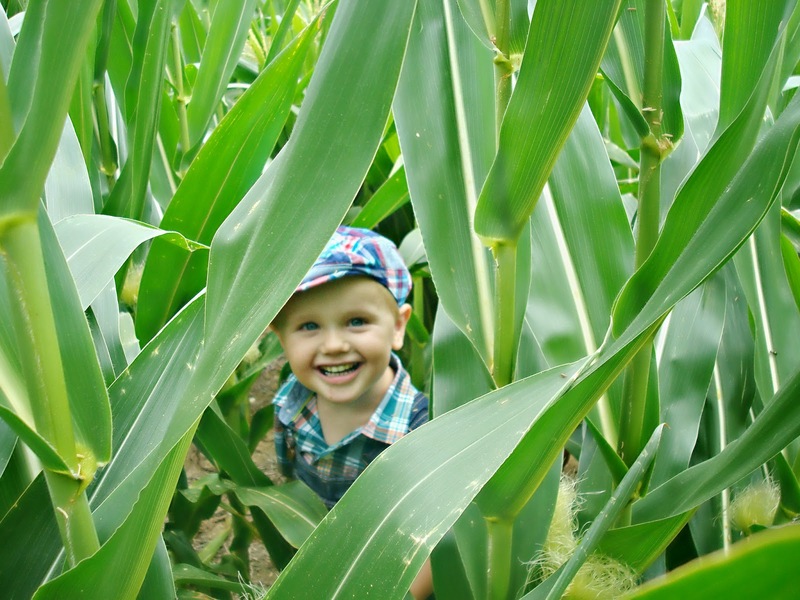 So cute peeking through the corn.... Congratulations! Thank you, Ruth! I love that you get to share my happy moment.